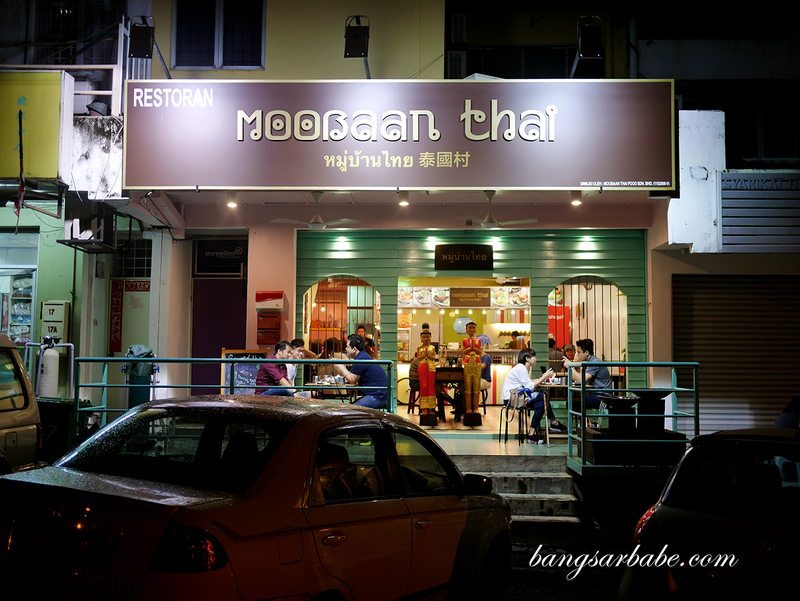 Moobaan Thai in Taman Desa is a no-frills restaurant that serves Thai street food – a spot rif and I checked out on a rainy evening recently. 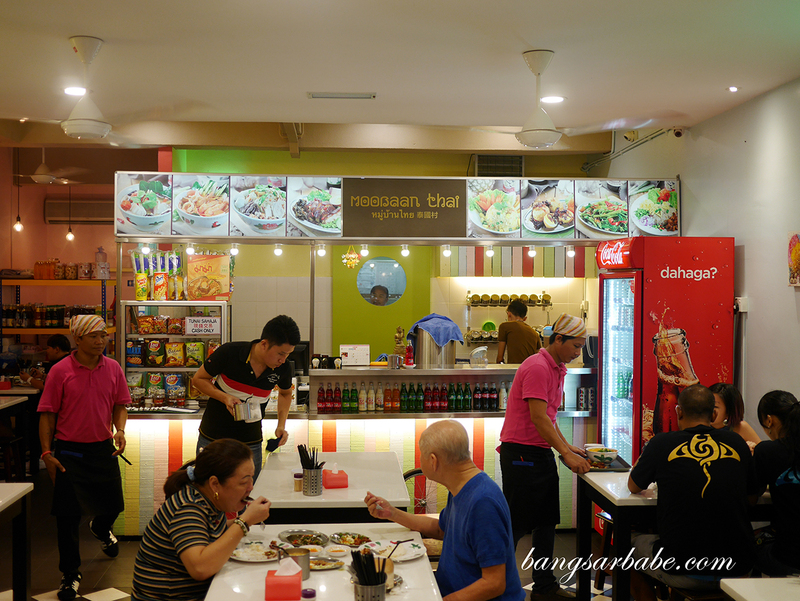 The restaurant is located along the same row as Sanuki Udon and the menu although small, offers a decent selection of classic Thai favourites. Pork is available at Moobaan Thai, which got us a tad overexcited. We ordered the full works; stewed pork leg, tomyam with pork slivers and green curry pork to share, with white rice. Perfect accompaniment on a chilly night, I thought. I particularly enjoyed the stewed pork leg (khao kha), beautifully cooked till the meat is tender and skin, soft yet gelatinous. The meat was well flavoured from the hours of simmering in dark soy-based liquid, while the mustard greens gave the dish texture and slight tanginess. 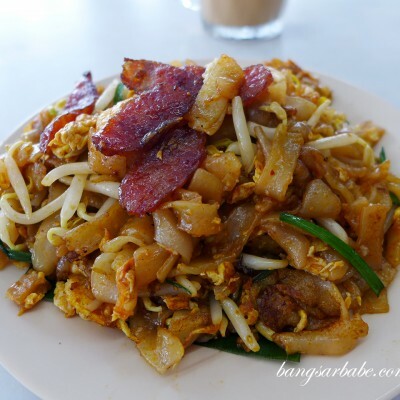 I reckon this is one of the best I’ve eaten in KL and I even enjoyed it more than the ones I tried in Bangkok. 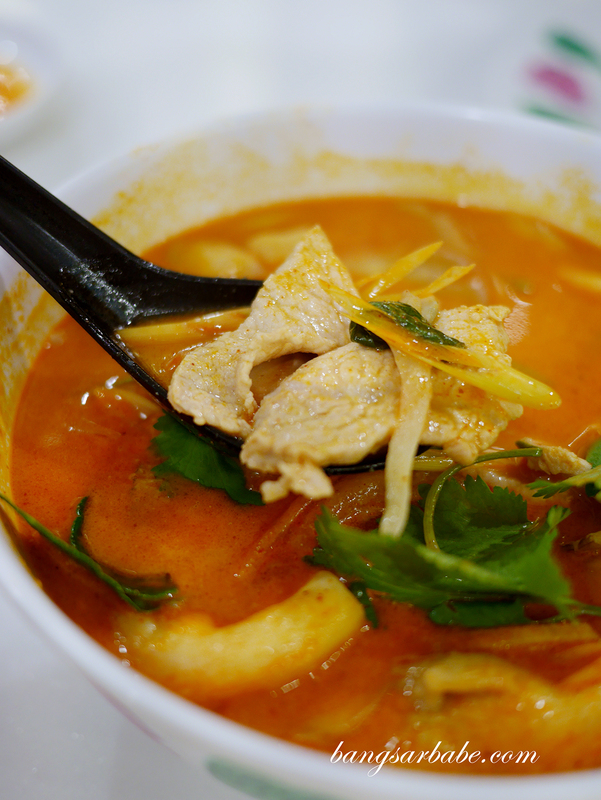 Tomyam generally tastes better with seafood but the pork tomyam at Moobaan Thai (RM15) didn’t disappoint. The broth was adequately thick and balanced in flavour – neither too sour nor too sweet. 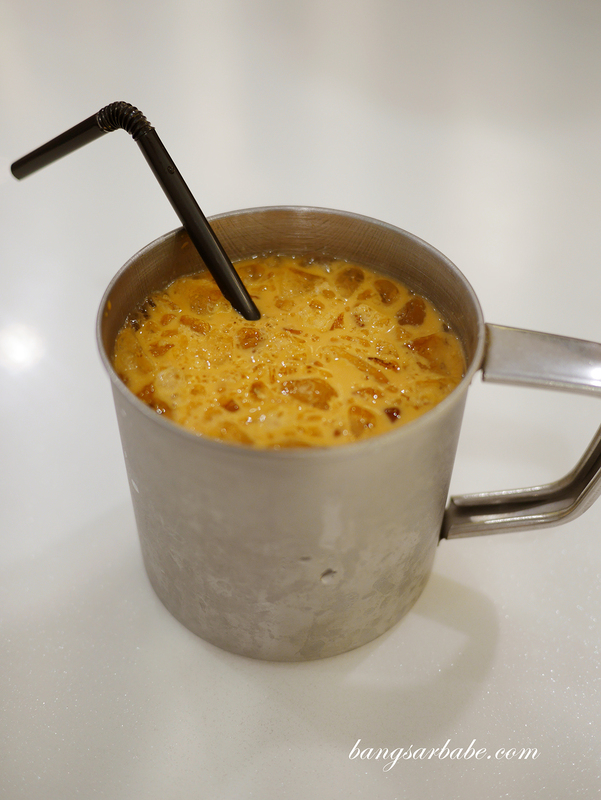 You can opt to have just the broth or ask for noodles (Thai vermicelli) to be added inside at a small cost. Green curry pork (RM12) was also quite decent and great with rice. 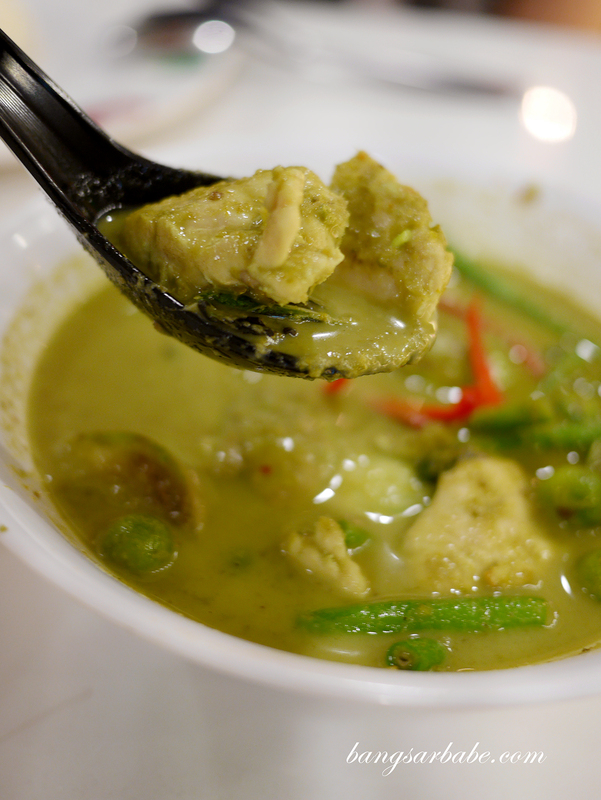 I find the green curry at many Thai places either too sweet or too watery, but the one at Moobaan Thai had the right balance of thickness and flavours, spicy and all. Perhaps it’s just my preference as I like my curries thick and robust. 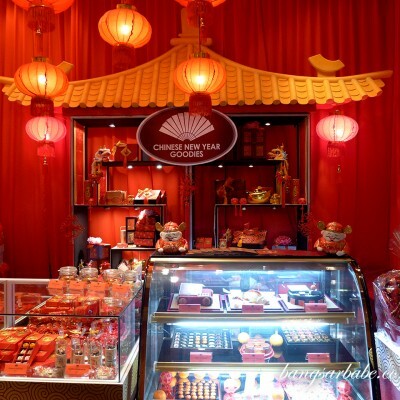 Dessert isn’t stated on the menu but Tub Tim Krob (RM6) is available, though I found it average. 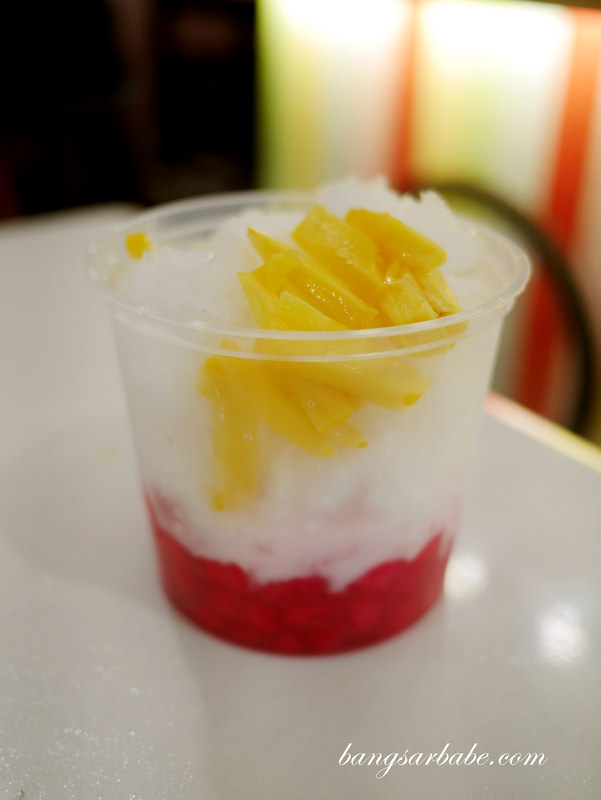 While portion was generous, it didn’t come with enough sugar or coconut milk and thus, tasted a tad watered down. UPDATE (11/4/2017): I’ve been going back to Moobaan Thai quite frequently, and noticed they have further improved on their food offerings. The Moo Ping (pork skewers) are really quite good (I refuse to share!) and the Thai basil pork is worth checking out. Pad Thai isn’t very good though — they still need to work on that haha. 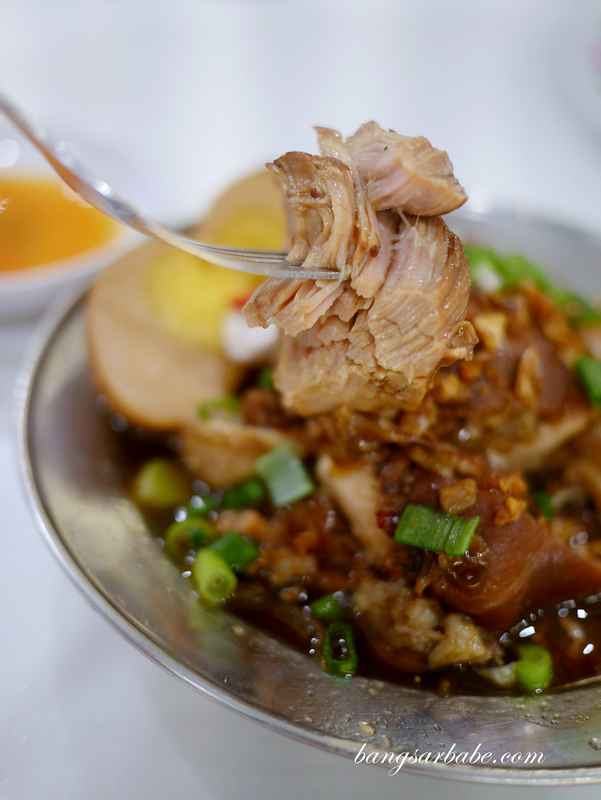 Verdict: Try the stewed pork leg with rice. That’s pretty good.